Despite having multiple Avatar movies to worry about/make people care about, James Cameron recently took the time to double down on his comments about Patty Jenkins’ Wonder Woman movie, telling The Hollywood Reporter that Diana of Themyscira was very much an “objectified icon.” For Cameron, who doesn’t seem to think he’s ever cast a conventionally beautiful woman in a lead role, having Gal Gadot, a former beauty queen, play the Amazon warrior didn’t break any new ground. Despite being a “good” and representing minuscule progress by having a female director, Cameron doesn’t think Wonder Woman was a revolutionary movie. Lots of people felt he missed the point, including Jenkins, who patiently explained that “tough but damaged” is great, but there’s more than one way to characterize a woman, including a strong woman, in film. 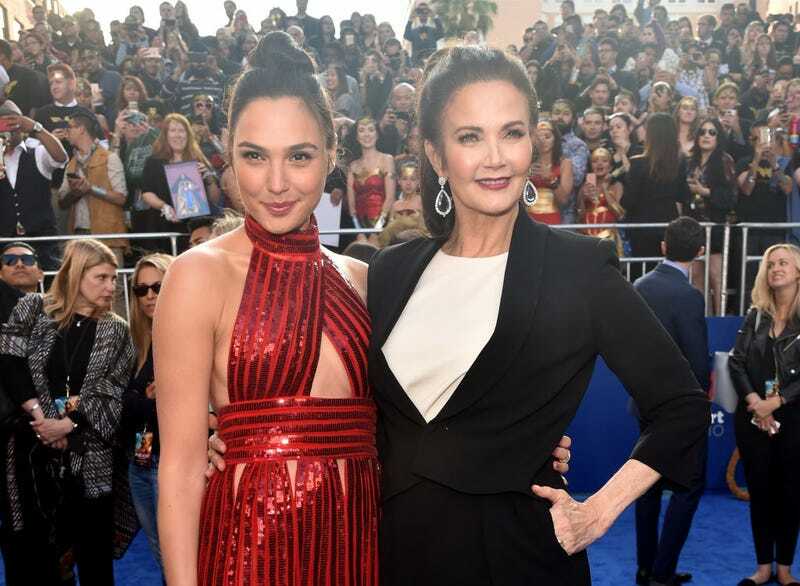 Former Wonder Woman Lynda Carter didn’t feel the need to be quite so diplomatic, though. In a Facebook post on Thursday, Carter flat out told Cameron to stop “dissing” the character. Cameron’s gripes include the warm reception to the movie from both critics and audiences; he originally called the celebration “self-congratulatory” on Hollywood’s part, suggesting it’s not nearly as feminist as people (mostly women) seem to think it is. But when criticizing the depiction of this “strong female character,” Cameron would only offer up one of his own creations—Sarah Connor in the Terminator movies—as a better example, which just demonstrates that he’s also quite eager to pat himself on the back.